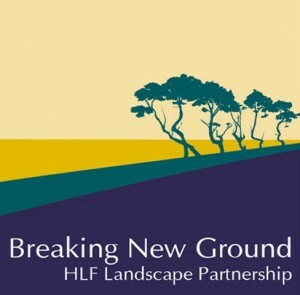 The Breckland Society was pleased to play a major role in Breaking New Ground, a Heritage Landscape Partnership Scheme for The Brecks which concluded at the end of 2017. The Society’s chairman, James Parry, served as chairman of the scheme board from 2015–17. 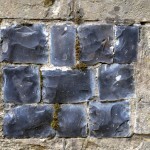 This project recorded the use and origins of flint within the Brecks. To read our findings, please visit the Flint in the Brecks project page. This project surveyed the internal earthwork archaeology of the Brecks warrens. The findings and illustrated project report are reported on the Internal Archaeology project pages. The report is also available free of charge from Ceres Bookshop in Swaffham. This project carried out fieldwork and archival research into the military heritage of the Brecks from 1900–49. You can read about its findings, and the wider military history of the area, in the illustrated project report click here. Hard copies of the report are available free of charge from Ceres Bookshop in Swaffham. This project documented the long history of sheep husbandry and shepherding in the area. You can read about its findings in the illustrated project report. Hard copies of the report are also available free of charge from Brandon Heritage Centre and from Ceres Bookshop in Swaffham. This project was delivered in association with Norfolk and Suffolk County Councils and comprised a series of ten “themed” heritage trails across the Norfolk and Suffolk Brecks, suitable for walkers, cyclists and horse riders. The trails use existing rights of way, including bridleways and cycle paths, to provide on the ground circular and linear routes of differing lengths. New waymarking was installed, as well as interpretation panels highlighting local history, wildlife and points of interest. 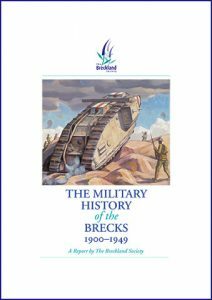 Published in June 2017, the JBS is an illustrated 80-page publication containing six articles about different aspects of the history and heritage of the Brecks. You can download a PDF of the journal here. Hard copies are available free of charge from Brandon Heritage Centre, Ancient House Museum in Thetford and Ceres Bookshop in Swaffham. Plans are already in hand for a second volume, to be published in 2018. See brecks.org/jbs for more information. 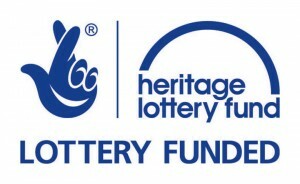 This project is part of the Breaking New Ground Landscape Partnership supported by the Heritage Lottery Fund.